 Delivery time up to 30 days. 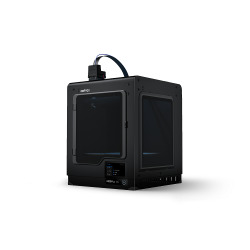 Zortrax M200 Plus is a powerful 3D printer operating in FDM technology with the possibility of wireless connectivity. 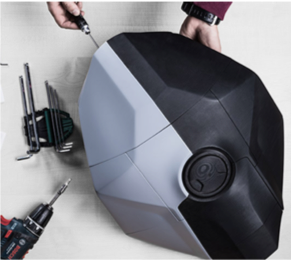 It was designed for large 3D printing farms as a tool supporting prototyping, design and production processes. Zortrax M200 Plus is capable of long-term uninterrupted operation without supervision by the user. It is characterized by reliability and low costs of use. 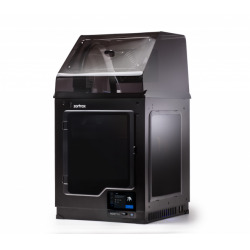 Discover the potential of additive technology with the Zortrax M200 Plus 3D printer. Manage multiple devices using the Z-SUITE program. Control your progress using the built-in camera. 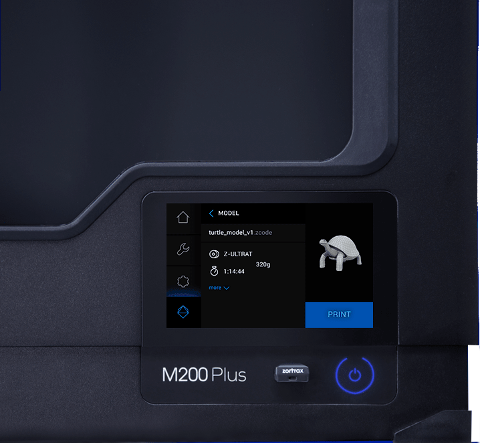 Whether you use it for prototyping or flexible low-volume production, the Zortrax M200 Plus will provide unparalleled precision and performance for the Zortrax Ecosystem. The print will automatically stop if the material runs out. Observe the progress of 3D printing on the screen of your computer. 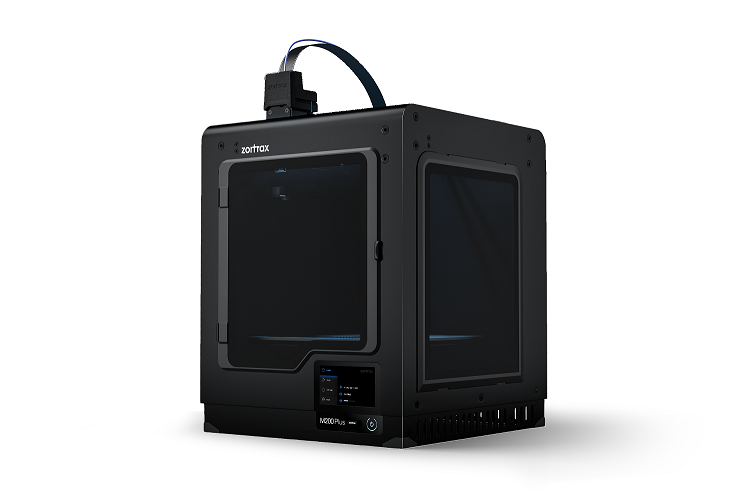 Zortrax M200 Plus is an advanced 3D printer ready to work immediately after unpacking. Simply plug in and start printing without the need for assembly and DIY. 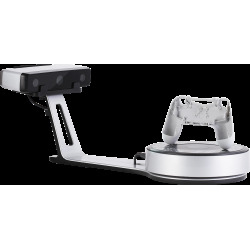 Easily choose the available settings and preview 3D models on the built-in touch screen. What's more, the printer is equipped with an extensive communication system. Files can be transferred over a Wi-Fi network, Ethernet link or any USB storage device. 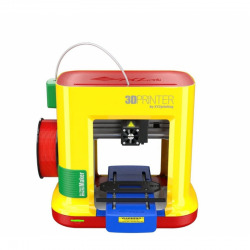 3D printing was created as a rapid prototyping technology, but today has much more applications. 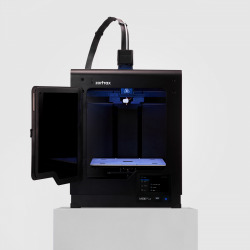 3D printers operate in various industries, from education through medicine to aeronautics. Creating consumer products requires many prototypes. 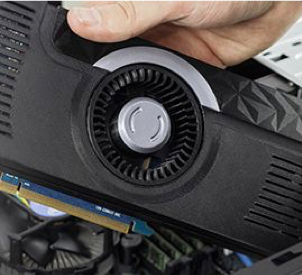 3D printing technology makes the process faster and cheaper. Architectural models require millimeter precision to get the right proportions. 3D printing is a technology that can automate this process. Custom-made educational models are useful in anatomy courses. 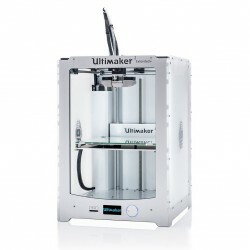 Thanks to 3D printers, you can get them at a price much lower than the market price. 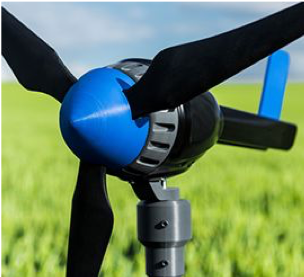 Large production plants can save up to 99% on spare parts by printing them on-site, thanks to 3D printer farms. The models printed in 3D can be based on computed tomography. Such models are useful, inter alia, in the creation of facial reconstruction and treatment planning. Conducting accurate tests is a must in the aviation industry. NASA uses Zortrax 3D printers to prototype tools for astronauts working on the International Space Station. Building functional robots is a difficult task. Thanks to 3D printers, creating projects and modifying them becomes easy. 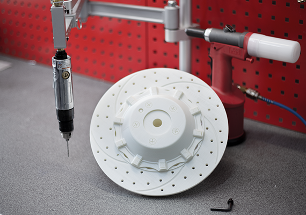 Creating clay models is a traditional way of creating prototypes in the automotive industry. 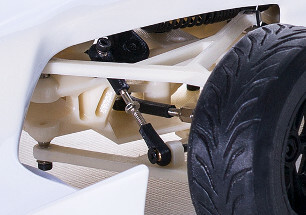 Former engineers from Ferrari found, however, that 3D printing is faster and more efficient. When you connect the Zortrax M200 PLUS printer to your computer, it becomes an intelligent command center. The Wi-Fi module installed in the Zortrax M200 is an alternative to file transfer between the computer and the printer. The Wi-Fi module allows you to connect devices together. It enables creating a network ready to implement projects. 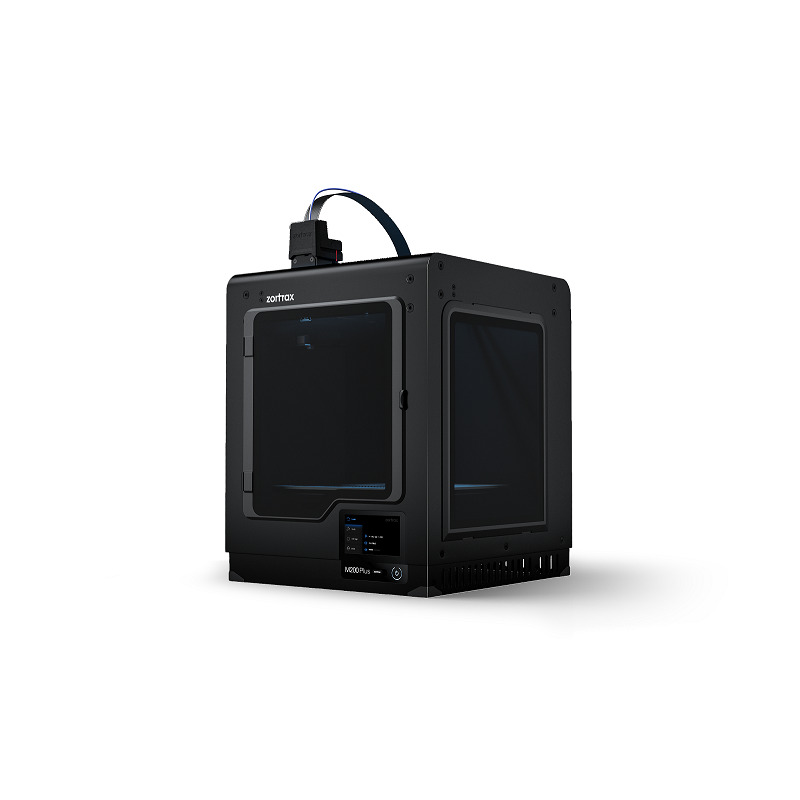 Zortrax M200 PLUS allows you to easily manage all 3D printers from your computer. It allows sharing work between devices to speed up the printing process. 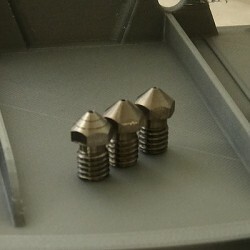 Improved Extruder allows 3D printing using Z-SEMIFLEX material. Based on PLA, this eco-friendly filament of biodegradable material has been reinforced with plaster to create a smoother and richer surface. Recommended for architectural mockups and high-quality display models. 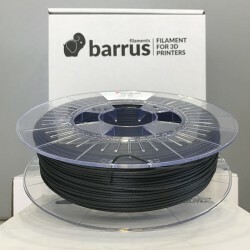 The filament is resistant to UV radiation, extreme weather conditions and temperature (up to 80.99 ° C), making it ideal for 3D printing of large 3D models and parts intended for outdoor testing. 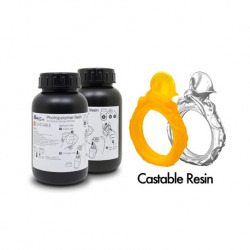 Material offering protection against electrostatic discharge in the range of 104 to 109 ohms. It is also resistant to chemical agents. 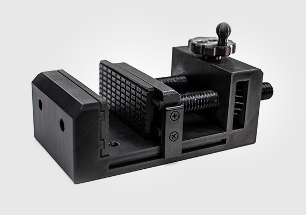 Filament allows 3D printing of industrial parts and enclosures designed to cover electronic components. 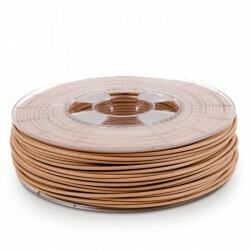 The ABS-based filament is one of the most durable thermoplastics, providing impact and high temperature resistance. It is also available in many colors. 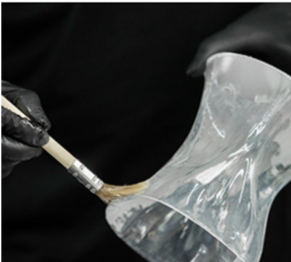 Translucent Z-GLASS filament imitating glass, which allows printing of translucent parts of final and functional prototypes. Z-GLASS is resistant to salts, acids, alkalis and solvents. 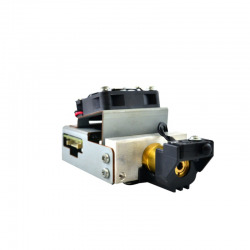 Perfectly suited for printing large models, high strength allows you to perform mechanical and functional tests. High quality aesthetic prints and semi-matte finish. Used mainly for prototypes. Based on ABS, thanks to the admixture of polycarbonate it is resistant to impact, UV radiation and temperature. This durable 3D filament can also withstand exposure to salts, acids and alkalis and does not change its physical properties over time. 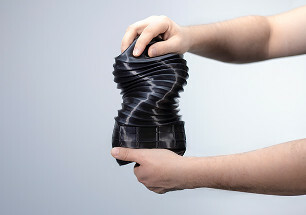 Semi-flexible 3D printing material resistant to greases and high temperatures. Objects printed using this material can be subjected to compression and tear tests without risk of damage. Use Z-SEMIFLEX material for printing models intended for diagnostic processes in medicine and tests in adverse conditions. 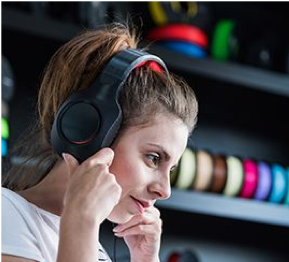 A flexible filament that can bend without breaking and is resistant to various chemicals, including gasoline, ethyl alcohol, butane and carbon monoxide. The material can be printed in 3D at a fast rate, approx. 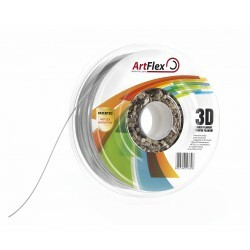 45 mm / s and has excellent interlayer adhesion. Bioplastic material with polyhydroxyalkanoate. 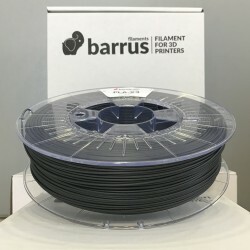 It is one of the most environmentally friendly filaments available on the market because it is readily biodegradable and is produced by bacteria kept under certain conditions. 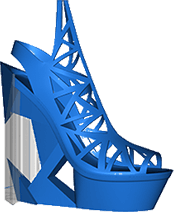 Z-PHA has a lower shrinkage level than PLA based materials, so it is ideal for printing large, yet detailed models such as architectural mock-ups. 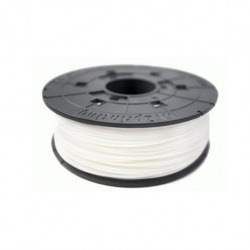 A filament composed of PET thermoplastic combined with glycol to reduce brittleness. This industrial grade material can withstand both UV rays and change its properties over time. It also shows high resistance to oils and greases. 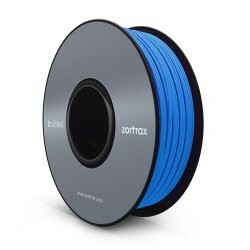 Versatile filament, resistant to high temperatures and various chemicals. It can be subjected to post-treatment using tools designed for metalworking. Z-NYLON is a durable material and can be colored with commonly used acid-based dyes. 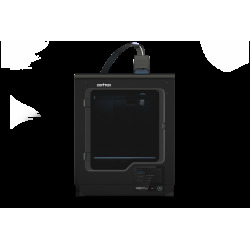 Zortrax M200 Plus uses a proprietary slicer - software for the preparation of 3D models for printing. 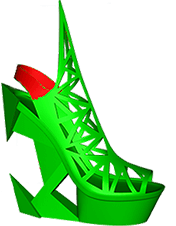 Thanks to the Z-Suite 2 software, we can use many functions and tools to improve the preparation process of the 3D model. The easy-to-use interface combines many tools with easy navigation. Working on separate tabs and profiles of default settings improve the process of managing 3D printing. Every Zortrax dedicated material has its default profile in Z-SUITE optimized for each of the supported printers. External materials are also supported. 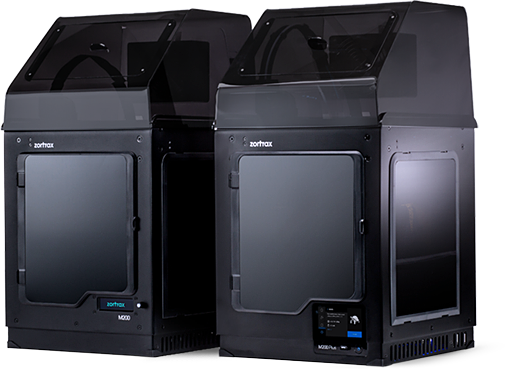 All Zortrax 3D printers are delivered with a free license for future updates. 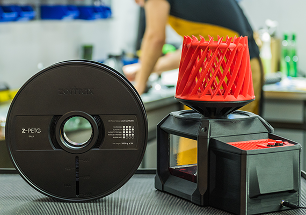 Z-SUITE can remotely control 3D Zortrax printers equipped with Wi-Fi and Ethernet connectivity, which allows easy management of 3D printing farms. Z-SUITE 2 is a bridge between your project and the finished product. 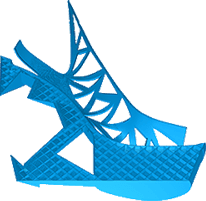 Use a wide range of tools and facilities to speed up the preparation process of the 3D model for printing. 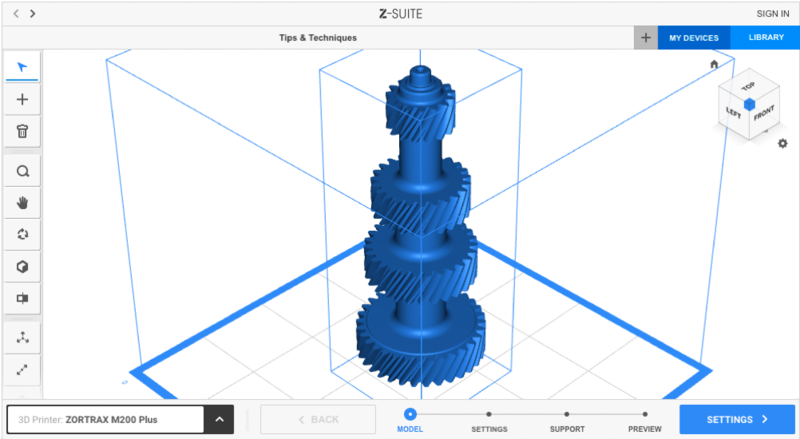 After loading the 3D model, Z-SUITE 2 will automatically convert it to a ready-to-print model through a process called "slicing". During this process the model is divided into layers and then they are translated into the Z-Code format. Z-Suite allows full control over supports, which can be automatically generated or added in selected places. 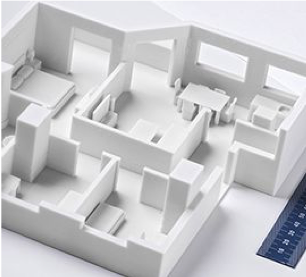 Z-SUITE 2 will automatically indicate walls that would be too thin to print correctly. 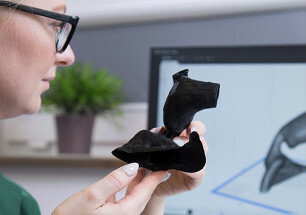 This allows the detection of problem areas before printing and signals the need to improve the model without wasting material for a failed printout. Thanks to the Z-Suite 2 software, we can use many functions and tools to streamline the preparation process of the 3D model. Z-Sute 2 software indicates the faces of the printouts that are too thin to be printed correctly. This allows you to detect weaker areas before printing the model. In Z-Suite you can take full control over the model support structures - it allows you to automatically or manually generate supports. 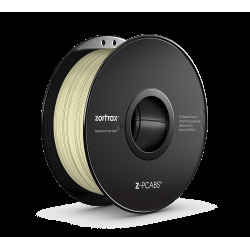 Zortrax HEPA Cover is a filtering device compatible with 3D printers Zortrax M200 and M200 Plus, which improves the quality of prints and filters out most of the particles released during 3D printing. the HEPA filter captures more than 99% of the particles released during 3D printing, including those below 100 nm.